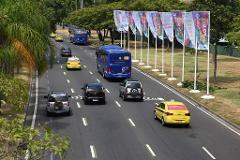 Shuttle from International airport to Barra hotels. Sit in Coach basis. 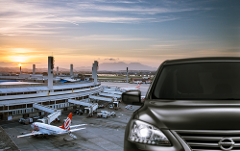 Book a private transfer from any airport in Rio de Janeiro (GIG or SDU) to any destination in Downtown, South Zone, or West Zone areas with a bilingual driver guide. Save time and energy with a professional, stress-free service. Our guide will meet and welcome you at arrival gate and transfer you to your final destination. Transportation in an armoured executive car.